Pay what ever you like birthday sale for Crayon Physics Deluxe. You’ll get the full game if you pay anything. We accept all amounts of money. Pay 1 cent and you’ll get the game. Pay 5 dollars and you’ll make a me slightly happier man and you’ll get your game. 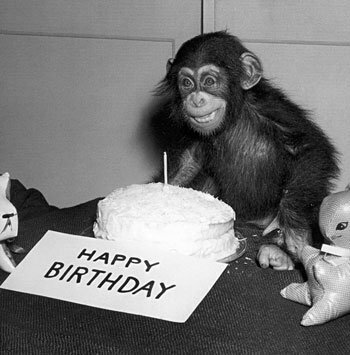 Pay the usual 19.95$ and you’ll make me as happy as the chimp in that photo. The sale ends January 15th. You are currently browsing the Kloonigames weblog archives for January, 2010.